I will be guest posting at http://amrtaher.tumblr.com/ today. I am honored to do so- children’s books are wonderful tools for parents to use. Author Amir Taher has written a delightful book called “Jimmy The Squirrel”. 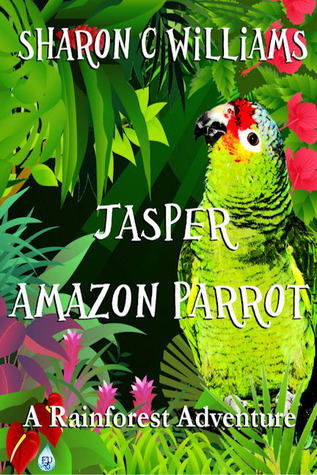 His book is similar to mine, “ Jasper, Amazon Parrot: A Rainforest Adventure”, in the sense it has life lessons for children. 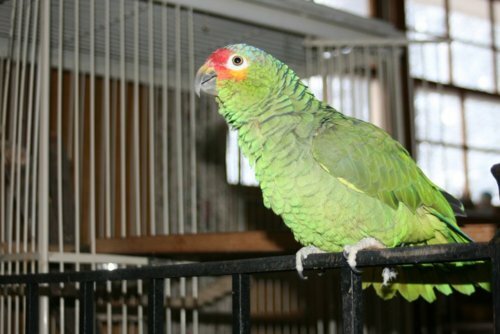 Today’s post is written by Sharon Williams (with help from her Amazon parrot, Jasper). Children’s books are a great tool. In them, authors can create amazing and creative characters that leap off the pages. With characters a child can warm up to, lessons can be learned. A child can learn about family values all the way to stay away from strangers. Every child at one point in their lives has had a stuffed animal in their room, or one they hold onto everywhere they go. It is their security blanket. They can talk to it, tell it their secrets and it keeps them company. Most importantly it can keep them safe from the monsters under the bed or in the closet at night. So when a child sees a character that is similar to their stuffed animals, they gravitate to it. It represents what their stuffed animals mean to them. They can relate on this level and that is why characters that are animals work so well. A writer can get on their level, their playing field and help share some lessons that a child can use. When shared with a parent so much more comes into view. One benefit is the time spent between parent and their child. Another are the lessons learned and possible discussions that can come from that. Hopefully one more benefit emerges, a love of reading – a joy that is parallel to none. That alone is worth taking the time to get a book together and read it with your children. The adventures they can come across, the places they can visit in their mind and the ability to open up their creativity in ways only a book can do is simply priceless. This is what I tried to do with my own children’s book, Jasper, Amazon Parrot: A Rainforest Adventure , which is at the editing stage. In it, Jasper, an Amazon parrot, is very similar to Jimmy of Jimmy the Squirrel. They are both likable characters who share lessons with children in a way that reaches the minds of young kids. Good point! I think you are right in teaching a lesson in a way that a child can relate. Thank you Susie. We do have to start so young for it can go wrong so very fast, Raising a kid now a days is just down right scary.